Throughout history, gilt edges have adorned the most elegant invitations. 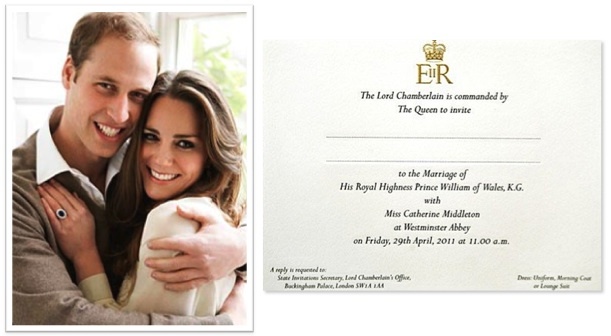 1,900 people have received their official Royal Wedding Invitation complete with beveled, gilt edges and engraved with the matching gold insignia of Prince William's grandmother, Queen Elizabeth. In celebration of Prince William and Kate Middleton's wedding—and the exciting, royal buzz surrounding it—we are delighted to feature our own collection of Gilt Edged Royalty Wedding Invitations. 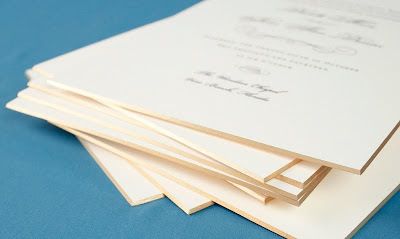 These invitations are elegant and impressive, and can be personalized with choice of typestyle and motif. They are available in double-thick and regular heavyweight ecru paper. 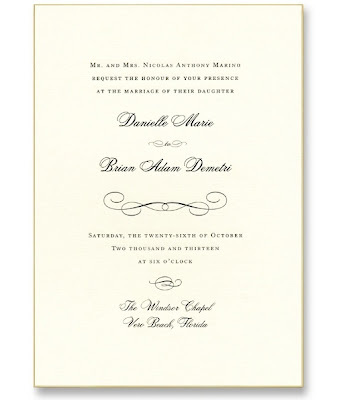 Gilt edged invitations have a kind of gracious aesthetic that will commemorate a wedding for years to come. Hats-off to gilded elegance and cheers and best wishes to William + Kate!